This, after a High Court ruling recently allowed contested mobile termination rates (MTR) to kick in as of 1 April, and remain under review until October – a development analysts say could lead to multiple scenarios for operators and consumers alike playing out. But, as it stands, what the future holds for mobile consumers and the cost to communicate in South Africa is anyone’s guess. South Africa’s mobile telecoms landscape has been in a state of rapid transition, in particular over the past two years, with the first few months of 2014 seeing some of the most significant developments in the sector’s history. Recently, the Independent Communications Authority of South Africa’s (ICASA) attempt to lower the country’s historically high cost to communicate by introducing a new termination rate regime was partially thwarted by legal challenges from SA’s mobile duopoly. Termination rates are the fees operators pay each other to carry calls on their networks. ICASA’s new MTR structure, which includes a three-year glide path and steep asymmetry in favour of later mobile entrants, was – as expected – not looked upon fondly by Vodacom and MTN. The two mobile giants reacted promptly with legal action to the regulator’s January announcement that their MTR rate of 40c would drop to 20c, while Cell C and Telkom Mobile could charge the two more than double that (44c) to terminate calls on their networks. MTN, and shortly afterwards, Vodacom, submitted urgent applications to the High Court in Johannesburg, requesting an interdict and review of ICASA’s new rates, which they feel were not objectively reached. While 2010 entrant Telkom Mobile, with a market share as of September of about 2.2%, may have some ground to stand on in the eyes of its larger counterparts, Cell C has been in the market for over a decade and has garnered a subscriber base of about 12 million to date. Following the two-day court case between ICASA and SA’s two leading operators, which hold a combined 80+% of the market, South Gauteng High Court judge Haseena Mayat downed her gavel on the decision that both parties have a case. ICASA’s new structure, which would have ended in Vodacom and MTN being charged four times the MTR rate they would have received in return in 2016 (40c to10c), now has to be revised and the mobile leaders have to accept the 2014 asymmetry rate that the authority initially proposed. While there was a lot of hype and confusion following Judge Mayat’s ruling, on 31 March – with some under the impression that call rates would drop as the clock struck midnight – World Wide Worx MD Arthur Goldstuck says interconnect fees have no immediate effect on prices. He says, however, the MTR regime that will be in place for the next six months does give all four mobile players – Telkom Mobile in particular – the opportunity to cut call costs for the consumer. This, he says, is a game changer for SA’s smallest mobile operator (holding around 2.2% market share), which now has a massive marketing opportunity, as well as a pricing edge. Goldstuck says, even when the time comes that all mobile operators are “playing by the same pricing rules” in terms of a single MTR, Telkom will have the advantage of being able to market fixed-line and mobile at the same price, as a converged service. This almost allows Telkom to come into its own, says Goldstuck. Telkom has welcomed the High Court decision, saying it believes the ruling is in the best interest of the industry “and will go far in reducing the cost to communicate for consumers and stimulating competition in the industry”. Arthur Goldstuck, World Wide Worx" src="http://www.iweek.co.za/images/stories/2010/april14/arthur_goldstuck(1).jpg" />Pater says the two mobile leaders argue that only Telkom Mobile, which entered the arena in late 2010, should qualify. Although Cell C also has the advantage of steep asymmetrical rates for the next six months, Goldstuck says the third operator’s situation is different in that it faces the challenge of investing in infrastructure to improve network quality. However, he says, the MTR asymmetry does give Cell C margin to play with, and it could go one of three ways. “Firstly, Cell C could decide to invest in infrastructure and fast-track growth, while providing a better service to their customers. A second option, says Goldstuck, would be to invest in bringing down the cost of calls – potentially making a massive impact, given the operator’s base of 12 million subscribers. Goldstuck says the third possible path is one he believes would be wisest for the company to take – a middle between the aforesaid two. “The operator could invest part in infrastructure and part in cutting call costs. This would be a combination of a competitive-edge and a better network. At the end of the day, he says, the given scenarios fulfil what ICASA envisaged when it decided to lower termination rates and introduce asymmetry for the later entrants. Meanwhile, while Vodacom and MTN have indicated that steep asymmetry would hinder their ability to cut costs, Goldstuck says the duopoly is not entirely the loser in this situation. “The unstated truth about Vodacom and MTN, which they fail to mention in this argument, is that most of their calls are either on-net or to the other – and there is no asymmetry there. Given this, he says, there is no reason call costs cannot come down significantly, by 20c. Acting CEO of Cell C Jose Dos Santos says the operator believes the court ruling is a step in the right direction and a positive for the consumer, as Vodacom and MTN have frustrated the long-term process envisaged by ICASA to increase competition in the market. Goldstuck says he suspects the six-month review period and uncertainty around what happens beyond October may also be used by networks as an excuse not to drop prices at first. Ovum analyst Richard Hurst says while the sector is “defiantly in a state of limbo”, the High Court ruling is a step in the right direction in terms of injecting further competition into the market place. Vodacom says, over the past five months, it has been busy structuring an aggressive investment plan for SA that would see capital expenditure rise from roughly R7 billion per year to around R9 billion in the new financial year. The idea behind this, says the company, is that the only sustainable route to a lower cost to communicate is by significantly increasing capacity, thereby enabling higher usage at lower prices. Vodacom spokesperson Richard Boorman says in terms of what steps the company takes next, “We’re looking to work with the regulator to ensure that a smooth costing process takes place within the allotted six month timeframe. MTN SA CEO Zunaid Bulbulia has rebuffed criticism – much of it from rival operator Cell C – that the operator’s legal challenge of ICASA’s new MTRs is an attempt to keep telecoms prices in SA high. Bulbulia says MTN is faced with a “sustained level of regulatory attack that appears to be more about levelling out past successes than securing SA’s economic future”. As at September, Vodacom and MTN enjoy a 43% and 36% market share, respectively, while Cell C and Telkom Mobile hold 17% and 2.2% of the market, respectively. In terms of what ICASA will come back with in October, the industry can again only surmise. He says he expects Vodacom and MTN would want to see the glide path take place over a longer period, to give them time to strategise over how they can replace revenue lost to lower MTRs. He says the four-to-one MTR ratio (smaller players to bigger players) ICASA proposed for 2016 will need to be looked at. ICASA must now prove it has gone to greater lengths with collecting data, and that its methodology is known to the operators. Hurst says the MTR saga is significant in that it highlights the market maturity, in terms of subscribers and services. “Secondly, it highlights the fact that in order to grow the market we will need to look regulatory mechanisms that will unlock further potential. Recently, ICASA took occasion to publish an open letter in SA’s largest Sunday broadsheet, in which it thanked South Africans for their support and commented on the High Court judgement on its new termination rates. This is what the authority had to say: “In February 2014, ICASA published regulations that reduced the wholesale termination rate. These regulations had two objectives, to reduce the cost of communications in the public interest and to improve competition in the mobile and fixed-line markets. “The regulations set a call termination rate of 20c for calls to larger operators and a rate of 44c for calls to smaller operators. “MTN and Vodacom challenged the regulations in court, because they considered them unlawful and ICASA opposed this application. 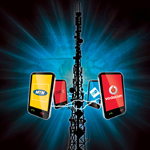 Outlining what this means for consumers, ICASA said call charges for consumers will not necessarily come down. “ICASA hopes that the operators will set lower call charges, because the interconnection rates that they pay each other have in some cases been reduced.